We wanted to have this home’s common spaces light and bright to give an overall welcoming open feel. The living, dining and kitchen spaces flow together nicely with still having defined designated spaces for each area. 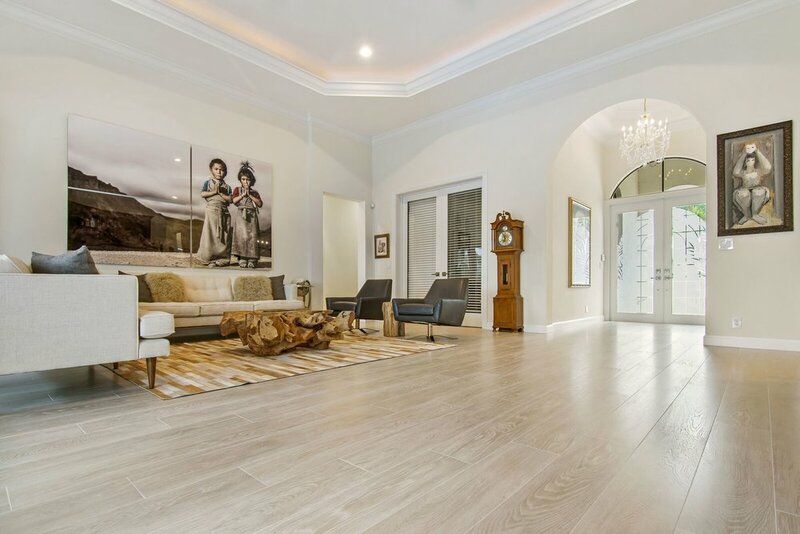 Beautiful elegance depicts our City Place project in West Palm Beach, Florida. Wood tile flooring installed in a herringbone pattern gives the space a luxury look that flows through the common areas. A variation of neutral tones and shades in different patterned designs give this project a calming and peaceful feel from the living room to the bath suite.